Imagine this… your husband has been in jail for 6 years. You can’t sleep when it rains because your roof leaks. In fact, your entire house is close to collapsing. Your young children have dropped out of school because you weren't able to save up enough for school supplies. For mother of three, Nyirajyambere Pricilla, this was her daily reality. Because of the poor state of her home, Pricilla and her sons were constantly getting sick and had to make countless visits to the local clinic. 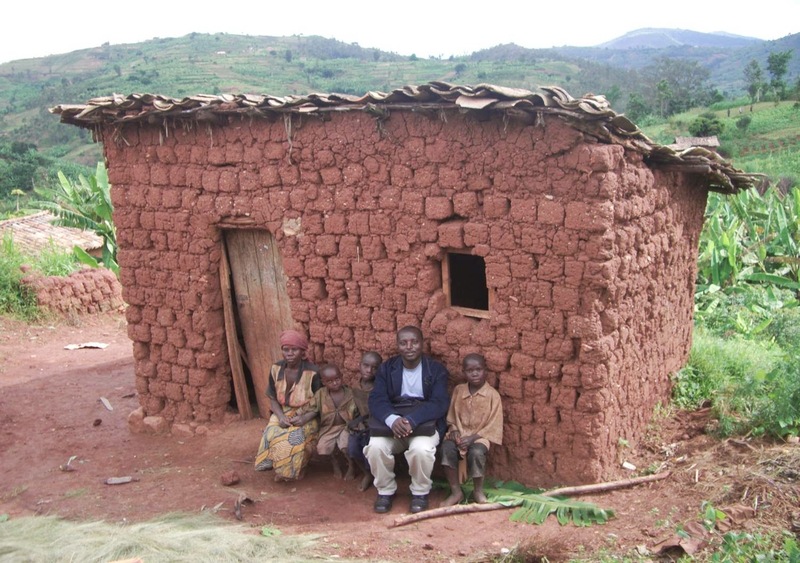 The first time FH staff, Paul, met with the family and learned of their challenges. Paul Ndagijimana, a FH community worker in Busekera, decided to do something about this after he noticed Pricilla’s predicament. After a recent visit to Pricilla's home, Paul called an immediate meeting to gather the community beneficiaries to make a plan of action. She needed a new home for her family. When Paul met with other community members, most were aware of Pricilla’s situation. Paul talked with them about the need to demonstrate God's love through action. There was a lot of work to be done to help this family... However, not only did they pledge to fund the project, they promised to help complete it themselves! This community of beneficiaries, church members, parents and leaders came together in a meaningful act of love for their neighbour in need. Everyone committed to getting some of the supplies, transporting them, and participating in the construction of the new home for Pricilla and her boys. 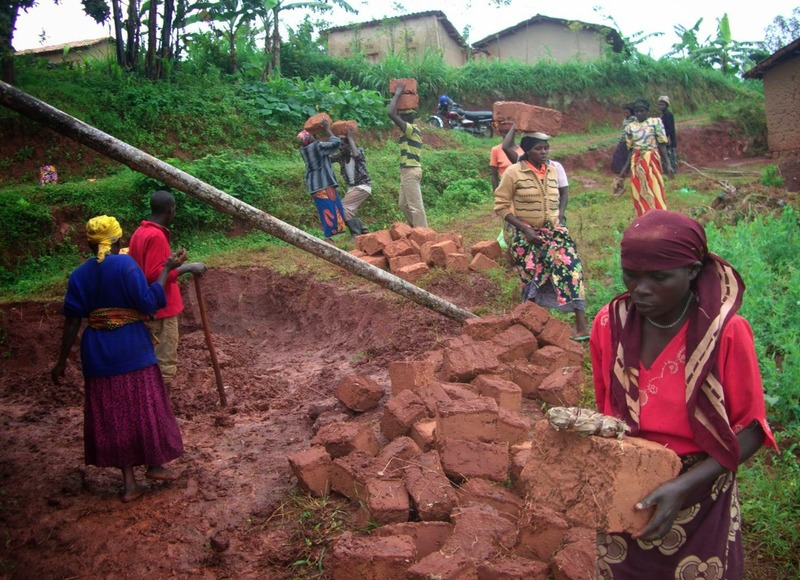 They collected sand, stones, poles, made bricks, bought iron sheets, doors, windows and carried all the supplies to the construction site! It was a big job, but everyone did what they could. 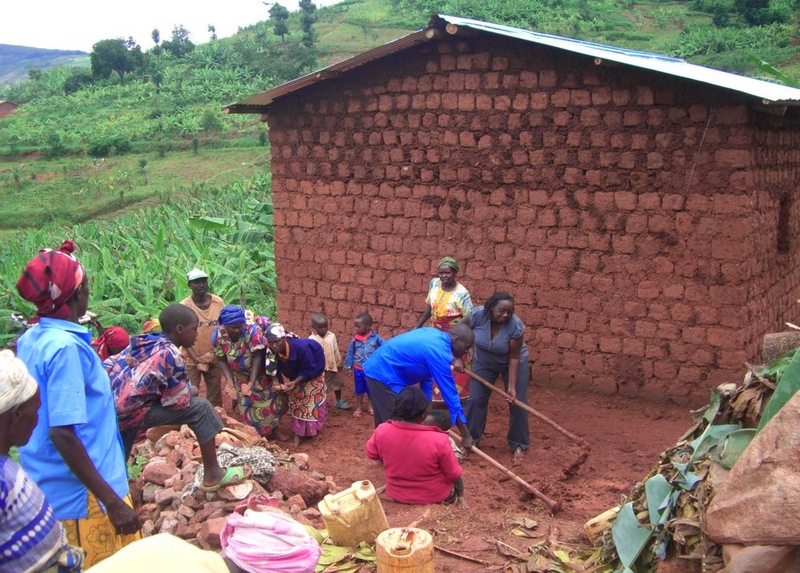 Each community member contributed to the construction of the home in some way. It was truly a labour of love. Community members gather to plan and commit to various supplies and jobs. Community members put final touches on the new home. Now that the project is complete, Pricilla says that the staff at the health clinic have been asking her where she's been. They had become accustom to seeing her and her family all the time. She was happy to report that they wouldn't be needing treatment a often because of her new home that protected her and the children from the elements. 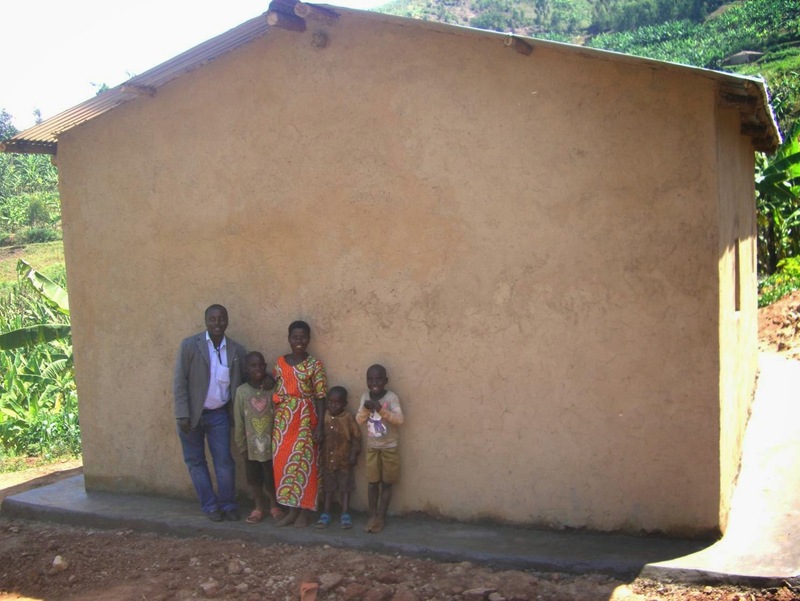 FH Staff, Paul, with Pricilla and her children thrilled with a dry, sturdy, safe new home. It's inspiring what this community accomplished when someone took initiative and everyone gave a little of themselves to meet the needs of a family in need. "I thank God for using His people to help me and I pray blessings to whoever contributed in one way or the other!” says Pricilla. Because of the transformation that first took place in the hearts of the surrounding community, transformation was possible for this family who were stuck in a cycle of illness and hopelessness. They now have renewed hope for the future and a safe, dry place to sleep and live! The parents' and beneficiaries' simple willingness to help made all the difference for Pricilla and her boys. 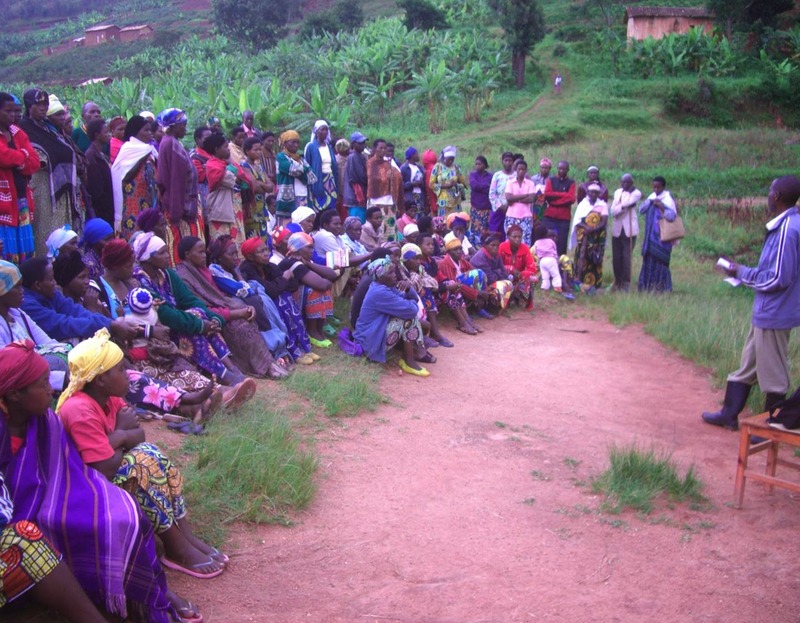 To read more stories of hope from Rwanda, click here.